For the town formerly named Saral in Armenia, see Nor Khachakap. 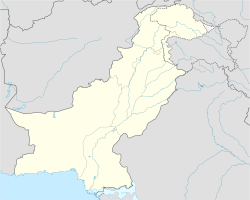 Saral is a village and Union Council, an administrative subdivision, of Chakwal District in the Punjab Province of Pakistan. It is part of Chakwal Tehsil and is located at 33°5'39N 72°55'18E. This page was last changed on 25 May 2018, at 16:46.